Mothers are mothers, regardless of where they come from. Beautiful World has mothers from all walks of life. Beautiful World has scholarship students who are also mothers, living in some of the poorest countries in sub-Saharan Africa. Prossy is one of them. I traveled to a very busy and cramped village outside of Kampala to meet Prossy, her 5 month-old daughter and family in their home. Like any mother with a young child, Prossy balances many priorities. 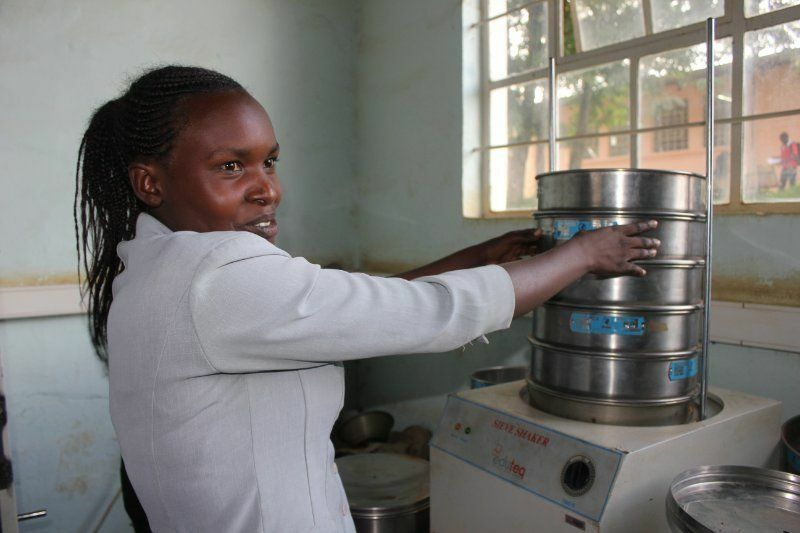 She attends University, raises her daughter with the help of her grandmother and on weekends she runs a catering business to help support her family. Prossy is an entrepreneur, and she showed me her business where she cooks food that the locals enjoy eating like rice, beans and posho. In a few days, Prossy will be graduating from University with a Bachelor of Development Studies. Her dream is to support young girls in her community. Three generations of women are depending on her for a better future. Prossy plans to continue operating her catering business while she searches for a job that will be the beginning of her career in community development. Lost but never forgotten – So many of the students Beautiful World supports have lost their mothers to HIV/AIDS. This is the case with Odile, who I met in Kigali, Rwanda during a 2-day Grad Preparation Workshop. Odile showed me how they determine the composition of soil when she and I went for a walk around her campus. Odile is in second year studying civil engineering and will graduate in 2018. She dreams of becoming an engineer and helping her entire family out of poverty. Odile’s role model was her mother. Odile shared with us that her mom believed in her and always encouraged her to follow her dreams. The best piece of advice her mom gave her was that while the poverty she inherited is painful, she needs to work hard and go as far as she can in life. In her memory, Odile creates beautiful poetry about her mother’s struggle with HIV/AIDS and uses it to spread awareness in her community through public speaking contests. 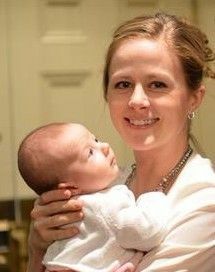 Beautiful World’s Canadian Mothers – Canadian mothers, like Heather Ogden, are heroes to our students. Heather has been a Beautiful World Ambassador since 2015. She is a first-time mom to a beautiful daughter and a principal dancer at the Ballet of Canada. Like any mother, Heather dreams of a bright future for her daughter and all the things she will do and become. Heather chooses to support Beautiful World because she believes in the power of education. She wants to make dreams possible for girls on the other side of the world that have the passion and determination, yet do not have the opportunities children receive here in Canada. Heather’s own mother helped her immensely on her journey to become a successful ballerina and now Heather is helping to provide girls with an opportunity to achieve their dreams. This Mother’s Day, whether you are a mom, or you have a mom or a grandmother, don’t forget the women on the other side of the world who have lost their mothers, are being raised by their grandmothers, or are young mothers themselves. The poverty Beautiful World students live in will not be passed down to another generation. Beautiful World Scholars are heroes in their own right – they are stepping up, taking their future in their own hands, and persevering with a fierce determination. They have the opportunity to succeed and create a whole new generation of mothers who will become leaders in their communities! As you celebrate the women in your life this Mother’s Day, don’t forget women across the globe, like the Beautiful World scholars, who are working to create a new generation of mothers who will become leaders in their communities.